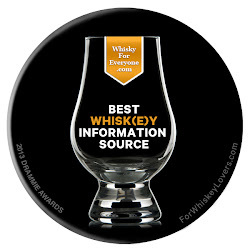 2010 has seen many new whiskies released on to the market. 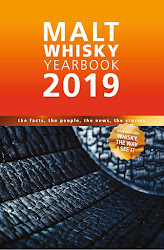 We have sampled and reviewed a number of these over the last year at Whisky For Everyone, so we have decided to choose our top 10 favourites of these new releases. A similar Top 10 that we published this time last year has proved to be one of our most popular ever and we hope that this one is enjoyed as much. 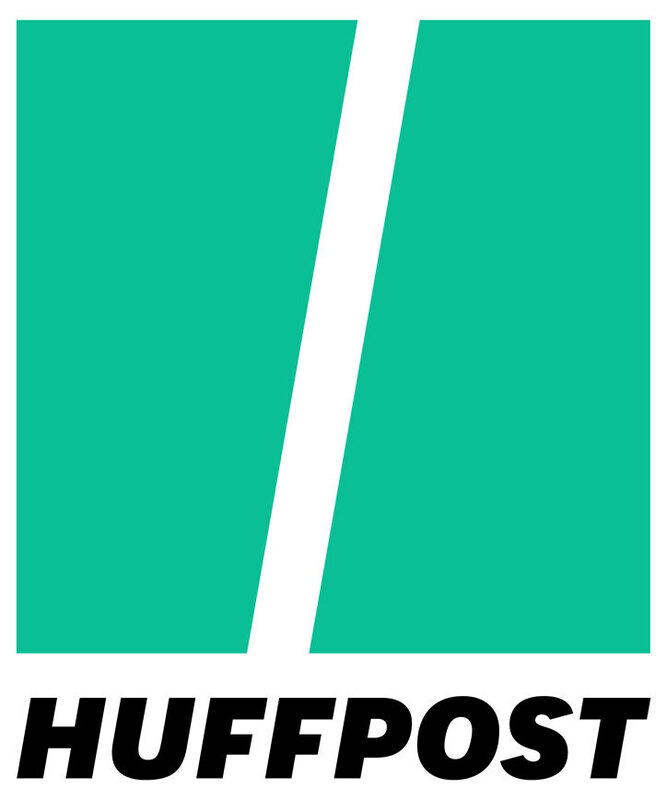 Please let us know what you think of our choices by leaving a comment at the bottom of this post. Such Top 10s are always subjective and therefore contentious as a result - everyone has differing opinions at the end of the day. We have tried to select our Top 10 on a ratio of quality, value for money and availability to the public. To this end, there are not really any single cask or independent bottlings included, despite some excellent ones being sampled throughout the year. 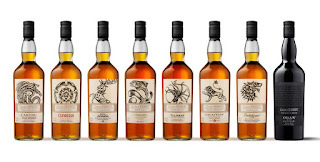 However, some are limited edition bottlings that are still available to purchase. The Tempest is a small batch bottling that is released approximately twice a year – Batch 1 (of which our sample is from) was released in early 2010, with Batch 2 coming in mid 2010 and the next batch penciled in for release in early 2011. This was matured in specially selected first fill ex-bourbon casks and is bottled at 10 years of age. The nose is a wonderful combination of sweet and smoky aromas - caramel, butterscotch, marshmallow, malty cereals, dark dried fruit and damp, earthy moss. The palate feels creamy and rich with sweet butterscotch, vanilla, toffee, honey, tangy citrus, mossy smoke, wood spice and a hint of salt. The finish is very long and smoky, with bitter iodine adding further complexity to the many other notes. This is an exceptional whisky that offers incredible complexity and balance. It was our unanimous choice as our favourite whisky of 2010. We can’t wait to try the forthcoming version of the Tempest! Click here to read our original post about Bowmore Tempest. The whisky is bottled at 14 years of age and has been part matured in Caribbean rum casks, hence the name Golden Cask. 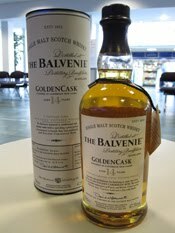 It was released last February and is one of Balvenie’s exclusive Duty Free/travel retail bottlings. The nose is fresh, perfumed and vibrant with plenty of captivating aromas - the combination is excellent and tempting, making you want to just sit and sniff the whisky forever. The palate is fresh, juicy, sweet and intense. There is vanilla, oak, cereal grains, sweet honey, orange zest, sandalwood, nutmeg and crumbly brown sugar. The finish is again intense and begins sweetly before becoming much drier and spicier. This is a delicious whisky and one that mixes its more obvious sweeter notes with the understated subtle ones. Great value for money – grab a bottle next time you go through an airport. Click here for our original post about Balvenie Golden Cask. Another Duty Free/travel retail exclusive whisky. Triple Wood has been matured in three different types of cask - ex-bourbon cask, then quarter cask and then ex-Oloroso sherry casks. 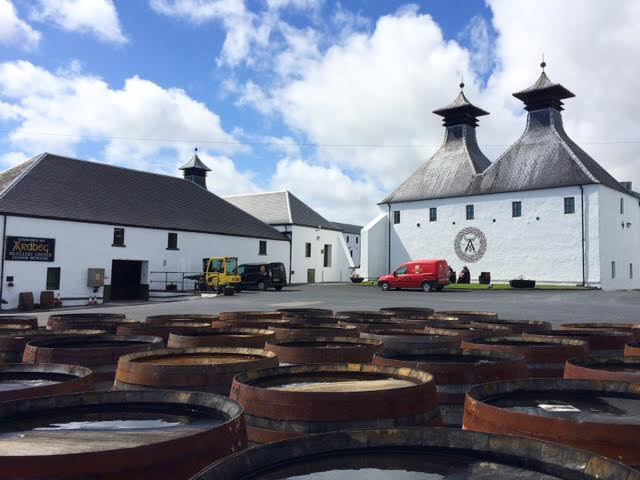 The whisky is only produced in small batches, the latest of which was released last Summer. The nose is expressive with intense earthy peat and bitter iodine, before these mellow to allow other notes through to create an intense combination - caramel, raisins, prunes, honey, vanilla and oatcakes. The palate is softer than expected. Rich peat smoke mixes with caramel, almonds, honey, dried fruit, brine and bitter iodine. The finish is long, with peat smoke burning away for ages. 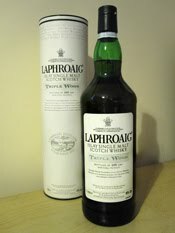 This Laphroaig is a lovely dram and a very good example of a peaty, smoky whisky. A wonderfully crafted, expressive and complex dram. Click here for our original post about Laphroaig Triple Wood. 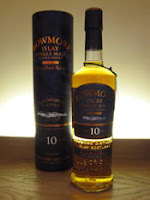 This bottling was released as part of the Compass Box 10th anniversary celebrations. It is made from just one cask of single malt and one cask of grain whisky and is a limited edition of just 876 bottles. The nose is fresh, vibrant and very promising with a complex combination of aromas - vanilla, green apple, nuts, oak, fresh coconut, dried grass, cereals and kiwi fruit. The palate is delicious, juicy, tangy and fresh with many of those notes from the nose present. The finish is short and vibrant with sweet vanilla and honey notes. This is a cracking whisky. It offers an insight in to how good and complex a lighter whisky can be if sympathetically matured and blended. Double Single also confirms that Compass box whiskies are all unique and of a consistently high quality. Click here for our original post about Double Single from Compass Box. This whisky was released last April and has been matured in ex-bourbon casks and is the oldest Bladnoch currently available from the Lowland distillery. The nose is enticing and becomes even more so with time in the glass. It has a mix of vanilla, honey, stewed apple and cereal notes, plus zesty lemon, honeysuckle and dried grass. The palate is light, fresh and vibrant, reflecting the order of the nose. However, it is remarkably complex and packed with subtle notes. The finish is long, fresh and very enjoyable with honey and vanilla combining well with cereals and dried grass notes. This is a lovely dram. The quality of the spirit shines through, as does the sympathetic use of good ex-bourbon casks. This would be an ideal light, fresh summer dram or as an aperitif. Click here for our original post about Bladnoch 20 years old. In order to complete the Top 10, here are numbers 6-10 as shown in Part 1. 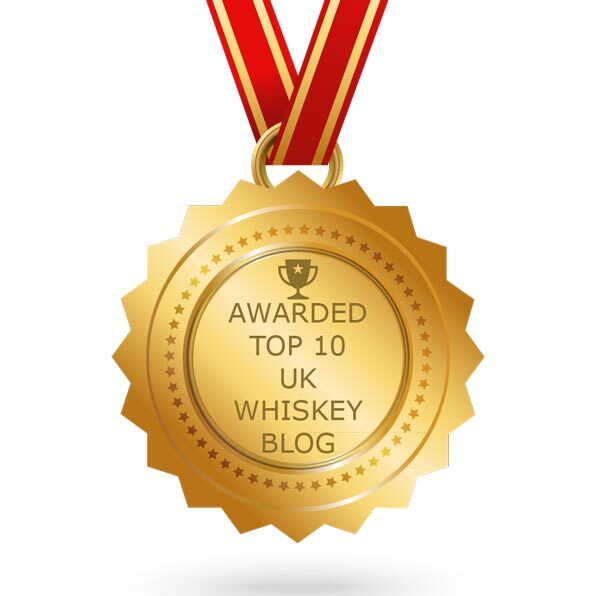 Click here to read the full reviews of the five whiskies. i have sampled all but the 20 year old. it's really hard for me to try and pick my top 5. i need to think about it. M&K, may this year be a better whisky year than the 2010.